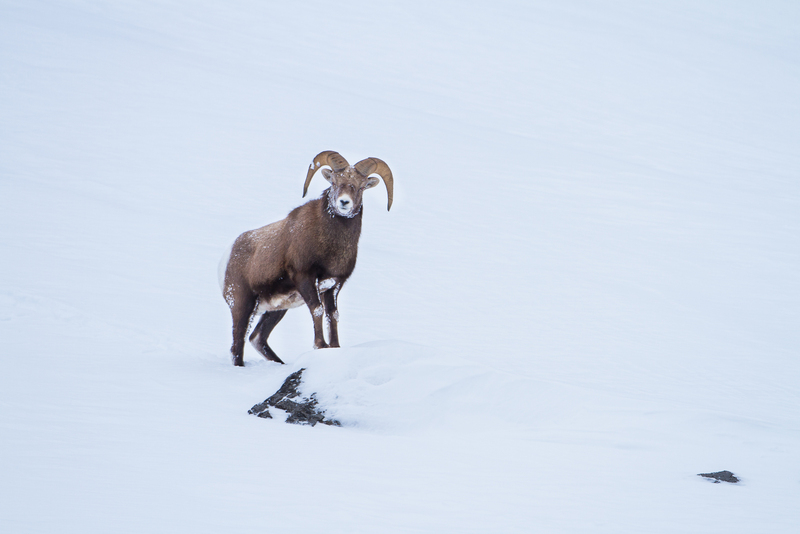 This Bighorn Sheep pauses his climb to check out his surroundings. They cannot easily move through deep snow. Generally found in lower elevations of 2,500 to 5,000 ft during the winter. Photo © copyright by Lance B. Carter.